So don’t tell anyone, but I snuck a few screenshots of the new game Electron Buttski 2 was telling us about earlier this week. It’s going to be pretty sick. Your job is to rescue a captured FunGoPlay All-Star by stopping an invading army of robots that come by ground and air. How you approach the defense is up to you. 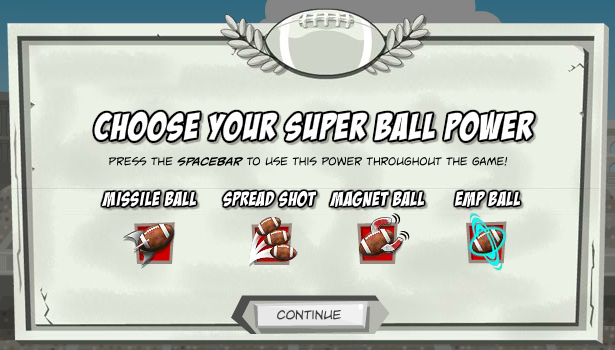 Choose from one of four types of football attacks to defeat your opponents. 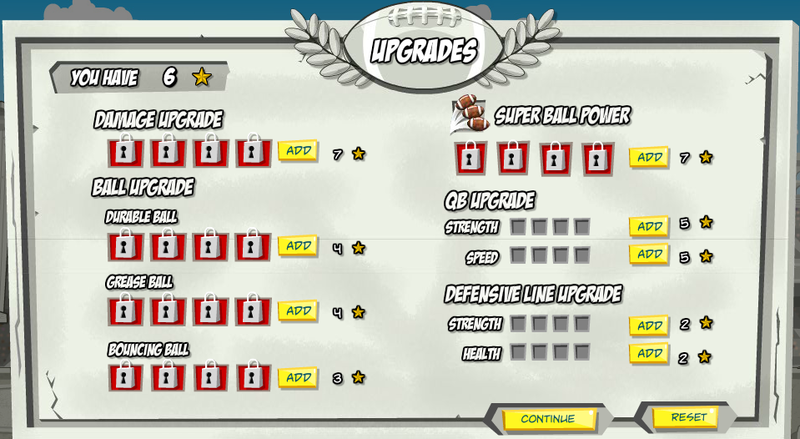 As you progress through the game, you’ll earn Upgrade Stars to improve your stats. And as you can see in the screenshot below, there are a lot of stats to choose from. I love how you can totally customize your approach to challenging the hoards of mechanical marauders. Adds a whole ‘nother dimension to the game. Pretty sick right? 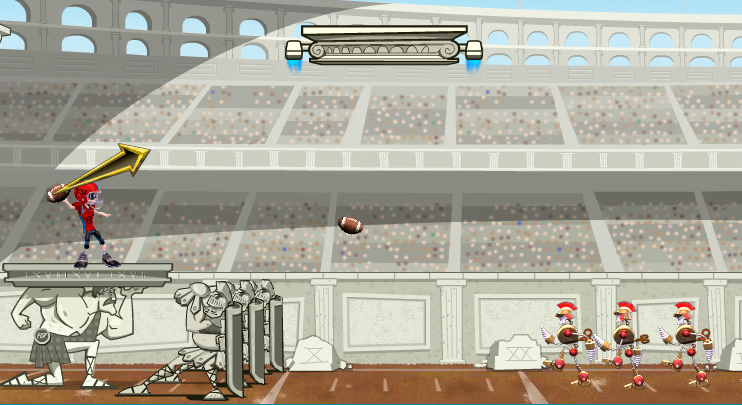 Dogzilla’s Revenge is killin’ it right now but Gridiron Gladiators may be the coolest game to come to FunGoPlay. Skagurski Stadium is going to get even better. Posted by fungoplay on November 25, 2011 in Games!.